[S903] Find A Grave - A User-Contributed Listing of Cemeteries and Memorials; Find A Grave Founder Jim Tipton, 2009; online at http://www.findagrave.com/cgi-bin/fg.cgi?page=gs&, Oak Hill Cemetery, Estherville, Emmet Co., IA. [S13] 1910 (April 15) U.S. Census, Ellsworth, Emmet Co., IA, ED 86, Sheet 8A (stamped 193). [S15] 1930 (April 1) U.S. Census, Estherville, Emmet Co., IA, ED 32-12, Sheet 5B (back of stamped 229). [S903] Find A Grave - A User-Contributed Listing of Cemeteries and Memorials; Find A Grave Founder Jim Tipton, 2009; online at http://www.findagrave.com/cgi-bin/fg.cgi?page=gs&, East Side Cemetery, Estherville, Emmet Co., IA. [S16] 1940 (April 1) U.S. Census, Estherville, Emmet Co., IA, ED 32-12, Sheet 6B (back of stamped 142). [S14] 1920 (January 1) U.S. Census, High Lake, Emmet Co., IA, ED 98, Sheet 6A. [S3182] Iowa Select Marriages1758-1996, made available by The Generations Network Inc. (Provo, Utah) on-line at www.ancestry.com, 2017; database courtesy of original records. [S903] Find A Grave - A User-Contributed Listing of Cemeteries and Memorials; Find A Grave Founder Jim Tipton, 2009; online at http://www.findagrave.com/cgi-bin/fg.cgi?page=gs&, Riverside Cemetery, Jackson, Jackson Co., MN. [S13] 1910 (April 15) U.S. Census, Center, Emmet Co., IA, ED 84, Sheet 6A (stamped 167). [S15] 1930 (April 1) U.S. Census, High Lake, Emmet Co., IA, ED 32-14, Sheet 5B (back of stamped 240). [S16] 1940 (April 1) U.S. Census, Middletown, Jackson Co., MN, ED 32-16, Sheet 2B (back of stamped 174). [S3195] Robert Smith, "Robert Keith Smith Griffith Reunion Family Tree," database made available on-line courtesy of Robert Smith, https://www.ancestry.ca/family-tree/person/tree/103512654/person/380025631665/facts, database viewed 25 July 2017. [S14] 1920 (January 1) U.S. Census, ED 98, Sheet 6A. [S903] Find A Grave - A User-Contributed Listing of Cemeteries and Memorials; Find A Grave Founder Jim Tipton, 2009; online at http://www.findagrave.com/cgi-bin/fg.cgi?page=gs&, Custer County Cemetery, Miles City, Custer Co., MT. [S16] 1940 (April 1) U.S. Census, Lakeside, Cottonwood Co., MN, ED 17-12, Sheet 1A (stamped 89). Virgil Eugene Ball was also known as Bud. [S2252] Osterberg Funeral Home, online \http://www.osterbergfuneralhome.com/2013/01/24/grace-ball/\. From an obituary: GRACE BALL, 95, of Delano, formerly of Jackson, passed away on Wednesday, January 23, 2013 at the Ridgeview Medical Center in Waconia, MN. GRACE BALL was born on November 15, 1917 in Jackson, Minnesota, the daughter of Albert and Anna (Kalash) Vitha. She attended country school in Hunter Township at District #65. After her graduation, she helped on the family farm and did housework for families. On November 29, 1939, she was united in marriage to Virgil “Bud” Ball at the Little Brown Church in Nashua, Iowa. They farmed in Middletown Township until their retirement in 1983, when they moved into Jackson. Bud passed away on March 23, 2001. 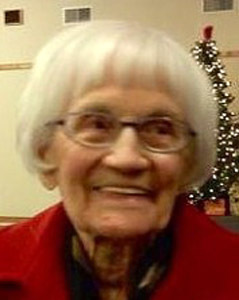 Grace continued to make her home in Jackson; she then became a resident of the Jackson Pines until she moved to the Legacy Assisted Living in Delano, Minnesota. 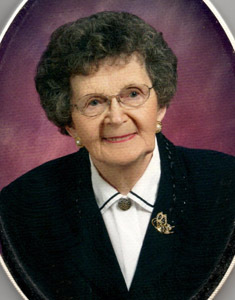 She passed away peacefully from complications of a broken hip in Waconia, Minnesota on Wednesday, January 23, 2013 at the age of 95 years. [S2253] North Mankato Mortuary, online \http://www.mankatomortuary.com/sections/detail.php?obit_id=2987\. [S16] 1940 (April 1) U.S. Census, Jackson, Jackson Co., MN, ED 32-12B, Sheet 2A (stamped 132). [S2254] Ruth Freymann, "King Family," database made available on-line courtesy of Ruth Freymann, http://trees.ancestry.ca/tree/47938885/person/20047361628?ssrc=, database viewed 7 April 2014. [S1390] Iowa Marriages 1809-1992, made available by FamilySearch.org (Salt Lake City, Utah) on-line at http://familysearch.org, 2010; database courtesy of The Church of Jesus Christ of Latter-Day Saints. [S903] Find A Grave - A User-Contributed Listing of Cemeteries and Memorials; Find A Grave Founder Jim Tipton, 2009; online at http://www.findagrave.com/cgi-bin/fg.cgi?page=gs&, Armstrong Grove Cemetery, Armstrong, Emmet Co., IA. [S13] 1910 (April 15) U.S. Census, Swan Lake, Emmet Co., IA, ED 84, Sheet 9B (back of stamped 170). [S14] 1920 (January 1) U.S. Census, Lincoln, Emmet Co., IA, ED 99, Sheet 3A (stamped 125). [S15] 1930 (April 1) U.S. Census, Lincoln, Emmet Co., IA, ED 32-18, Sheet 2A (stamped 255). [S16] 1940 (April 1) U.S. Census, Swan Lake, Emmet Co., IA, ED 32-19, Sheet 5B (back of stamped 182). Harold Montgomery Ross was born on 1 September 1908 at Denmark, Emmet Co., IA.1 He was the son of William Montgomery Ross and Helen Josephine Ball. Harold Montgomery Ross married Myrtie Norma Miller circa 1927.2 Harold Montgomery Ross died circa 1975. [S1817] Indiana Births 1857-1947, made available by The Generations Network Inc. (Provo, Utah) on-line at www.ancestry.com, 2011; database courtesy of original records. [S15] 1930 (April 1) U.S. Census, Lincoln, Emmet Co., IA, ED 32-18, Sheet 1B (back of stamped 254). [S16] 1940 (April 1) U.S. Census, Emmet, Emmet Co., IA, ED 32-8, Sheet 4B (back of stamped 56). 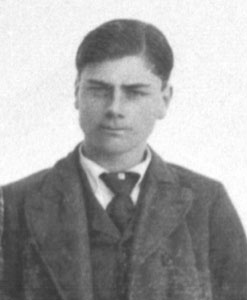 Dale R. Ross is the son of Harold Montgomery Ross and Myrtie Norma Miller. Rachel Elizabeth Ross was born circa 1910 at IA.1 She was the daughter of William Montgomery Ross and Helen Josephine Ball. Rachel Elizabeth Ross married Joe Sampson say 1933.2 Rachel Elizabeth Ross died circa 1988. [S16] 1940 (April 1) U.S. Census, Iowa Lake, Emmet Co., IA, ED 32-15, Sheet 4A (stamped 161). Helen Viola Ross was born circa 1916 at IA.1 She was the daughter of William Montgomery Ross and Helen Josephine Ball. 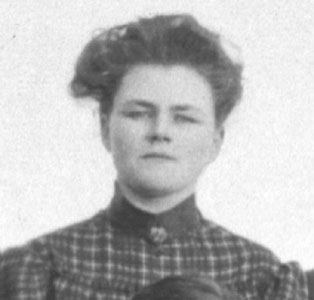 Helen Viola Ross married Joe Horsal. Joe Horsal married Helen Viola Ross, daughter of William Montgomery Ross and Helen Josephine Ball. Joe Horsal died circa 1982.